Building on the foundation we’ve established over the past three years, during which we’ve provided opportunities for nearly thirty curators and artists to mount exhibitions within a critical framework, TYPOLOGY is adapting our model and mandate in response to the need, voiced by local and national curators, for a truly vital collegial community—one which pursues, shares and supplies information, advocacy, opportunity, and resources for practitioners at all stages in their professional development. 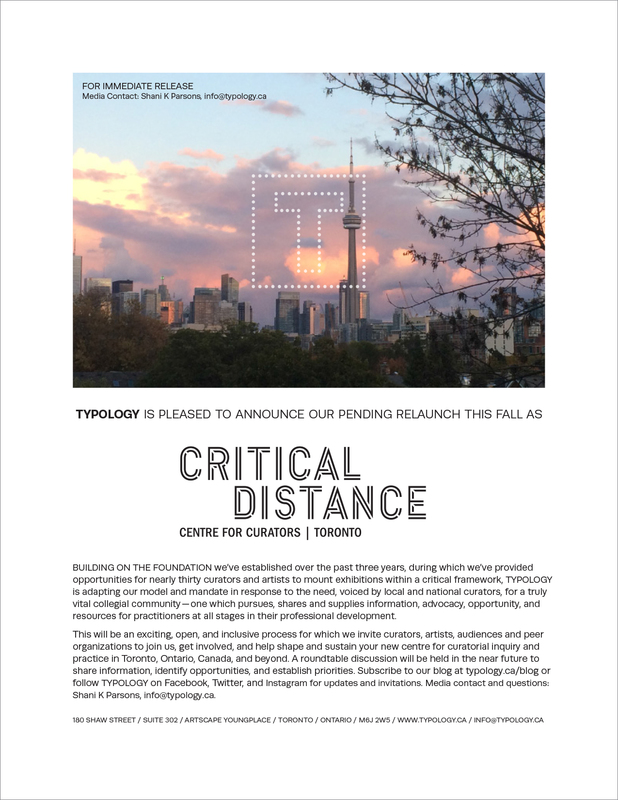 This will be an exciting, open, and inclusive process for which we invite curators, artists, audiences and peer organizations to join us, get involved, and help shape and sustain your new centre for curatorial inquiry and practice in Toronto, Ontario, Canada, and beyond. A roundtable discussion will be held in the near future to share information, identify opportunities, and establish priorities. Subscribe to our blog or follow TYPOLOGY on Facebook, Twitter, and Instagram for updates and invitations. Need some background or more information? 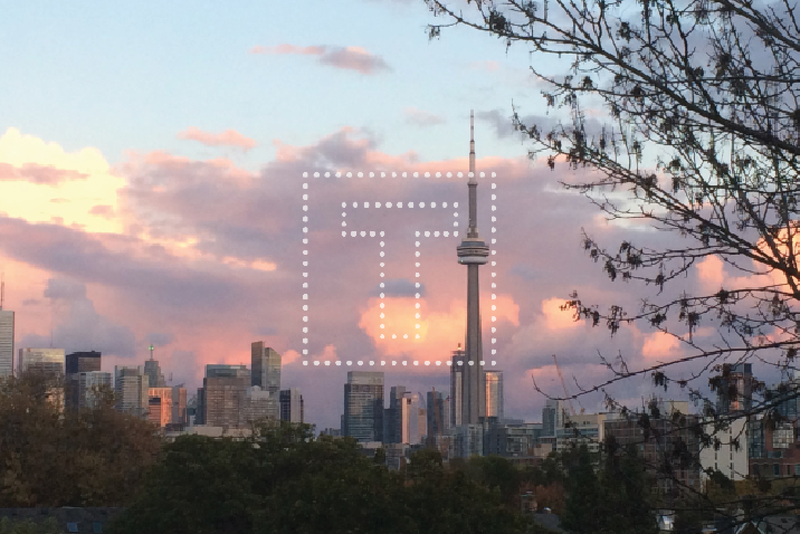 Click the links below or contact us at info (at) typology (dot) ca.